READING IN CLASS CAN TAKE MANY DIFFERENT FORMS! Over the past couple of years independent reading in the world language classroom, or Free Voluntary Reading (FVR), Free Choice Reading (FCR), Sustained Silent Reading (SSR), has become more prevalent as more teachers tap into the power of reading, and witness the fruitful results. Years ago, I learned the importance of Free Voluntary Reading from Mike Peto on his blog, My Generation of Polyglots. Mike made a compelling case for reading, in addition to providing teachers with tried-and-tested ideas and scaffolds. Likewise, Justin from Spanish plans is also a huge proponent of this acquisition-friendly practice. 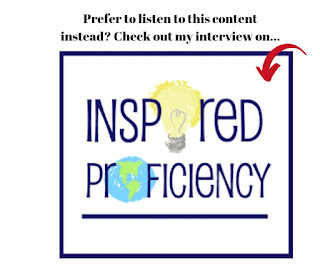 In addition to his stories that highlight targeted vocabulary, he has developed many strategies that keep his students focused. Justin has also influenced me a great deal in bringing FVR to my level 1 students in the first semester. I am so glad I followed his advice, and the fruits of his mentorship can be gleaned in this present post. 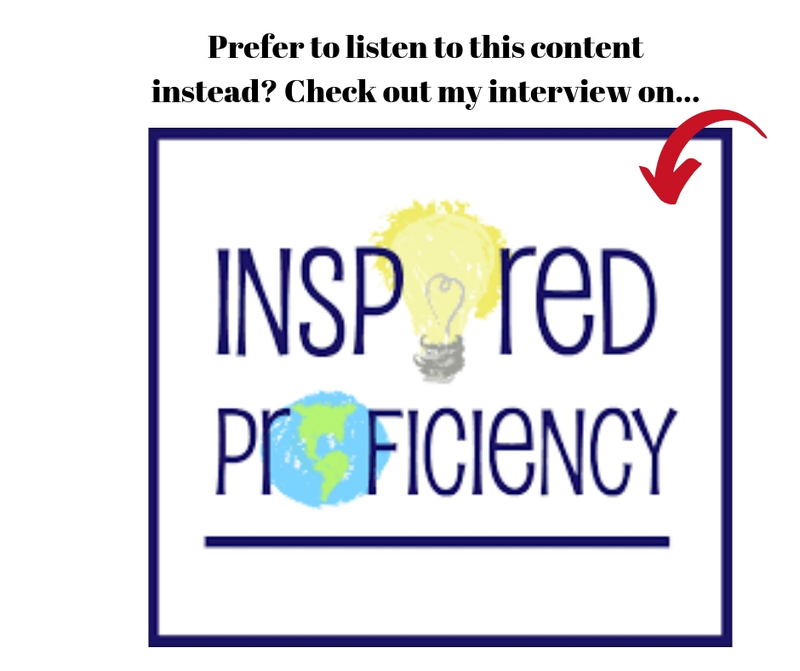 You can listen to my interview about Free Voluntary Reading & Beyond on Inspired Proficiency Podcast by Ashley Uyaguari (Link this link to listen ). 1. Free Voluntary Reading is both differentiated and personalized learning. Students get to choose books whose covers, topics, and/ or storylines interest them. They are also encouraged to choose books that are at their level, which is a segue to my next point: FVR is a confidence booster. 2. Reading time has been a huge confidence builder for my students. Most of my students who had been walking around with the “I am bad at Spanish” luggage, suddenly found a place in class. I saw their writing grow at the same rate as their confidence, and they really enjoyed the class. 3. Free Voluntary Reading also affords students to learn about different places, cultures, and the hardships of the people without direct instruction. My students learned about the effects of the hurricane María, from “La madre perfecta” by Rachel Emery. They learned about “La isla peligrosa” in Uruguay by John Sifert. 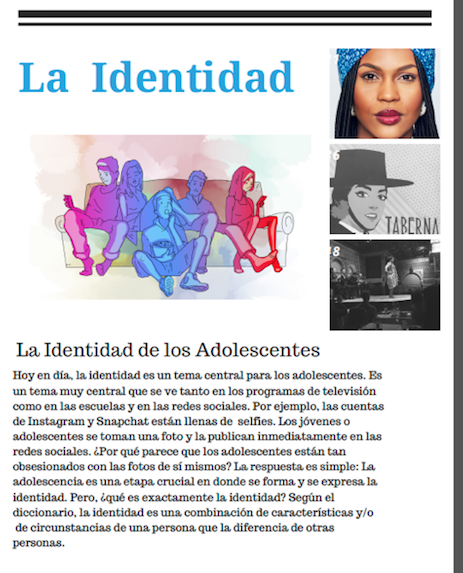 They traveled to Argentina, and peered into the past with "Secretos" by Jennifer Degenhardt, while also learning about the plight of Transgender teens. 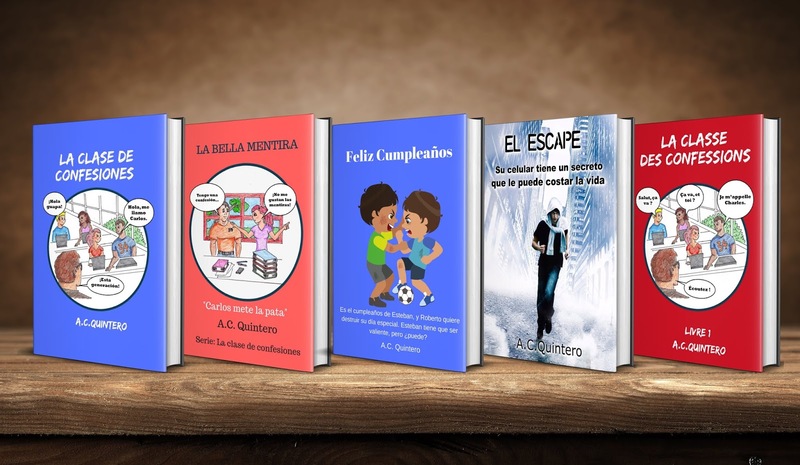 They gained insights about aspects of Colombia culture & teen-friendly themes about relationships in “Papacito” by Craig Klein from Spanishcuentos.com and “Cómo salir de la zona de amigos” by A.C. Quintero. Had we done enough reading for them to be able to handle a novel? We had not read our first novel, which is usually, La clase de confesiones that ties into our School & Relationships unit, then followed by Agentes secretos, a book about Pablo Picasso's masterpiece: Guernica. I felt that students needed to read both novels as a class first prior to “reading on their own.” Justin from Spanishplans.org was quick to point out my "logical fallacy." He demanded I do it and do it fast. So I obliged. 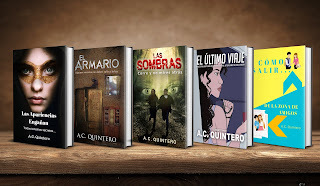 I ordered books from both established companies such as Fluency Matters, Teacher's Discovery as well as really compelling reads by Indie Authors. Click here to see the list of compelling Indie books. I had them read in pairs; both students choose the same books and sat down to read. How did they read in pairs? I tried to give students space and different options. I also wanted to make sure that the reading was not stale, and that they had a chance to really talk about what they had read. We read for a total of 30 minutes (we have 90 block-periods, and I interspersed this time with activities). 1. Take turns reading aloud to your partner. 3. Read for 10 additional minutes, and then tell the class about what you read (this was a whole class book talk). "I can literally understand everything"
"This book is crazy, they’re stuck on an island!" After reading, we huddled up in a circle, and each person shared something from their book. I knew that the next time we did FVR, I wanted to ask students to share more, however, this first go was an exercise in getting their feet wet. When sharing as a class, I did notice that students were using new words they had just encountered in the book. One student talking about his book had told the class that "El padre muere." I inquired further but did not think he was going to tell me the cause of death in Spanish, but he responded to my question saying, "El padre se muere de diabetes.” Another student commenting on a character in her book said: “Ella no tiene mucho dinero y no puede comer chocolate”, etc. I felt like my first FVR in level 1 was a resounding success! The Second Time Is A Charm! They had 10 minutes to read, and then they did "read & discuss." The second 10 minutes they read and jotted down information to be shared in literature groups. We had actually practiced with our class novel, "El Jersey." Check out the demo above. In the second part of the video, you will see the students actually asking each other questions. After literature circles, we reconvene as a group, and students share out as a class. Discussing books read for FVR could totally be a valid speaking assessment! However, I would not assess students the first few times, as they are getting to know the characters, and getting comfortable with the books. Once students have finished their novels, the teacher may wish to do a Conversation Circle, similar to the one we did in Spanish IV below. Or, this could be a time to read and talk. You decide! Now, let's take a look at how my FVR looked this year in my upper-level courses! Choose a book- this was a very social time. They'd compare books and acted almost like an outlet for the more fidgety students. Sit in the hallway and read the book for 10 minutes- this was like going on a field trip. We have desks –parlimentary seating in our wing of the building so– so it was nice to change the scenery a bit. Read for 10-15 minutes/ share a passage from the book with another student. I took a different path for my upper-level students with regards to FVR. Their language skills are more developed, they are more mature, and the discussion and writing are much deeper at the upper-level. I decided to make reading a book for FVR into a unit. In a nutshell, students chose a book, and they read it over 4-6 classes. I interspersed the readings with mini-discussions on the books (see packet questions), pop-up grammar lessons (imperfect subjunctive- connected to one of their questions). During each reading session, they respond to one of the questions. This unit would be a precursor to our next few units as they delve into our upcoming film unit. I pre-determined the vocabulary words they’d need in order to discuss books/movies (plot, characters, twists, types of conflicts, etc). These words were taught both explicitly & implicitly as most of them are cognates. I created this detailed reading log that was integrated into all further lessons. The reading log has six sections. Each section corresponded to an aspect of the book, each built on each other in terms of complexity. Click here for the Word Version. Read the chosen book to students. I have them listen and then summarize what they heard at the end with a partner. Allow time book browse. I placed books on my whiteboard ledge and new book rack. I gave them 10 minutes to look around, find a book, and then sit down with their packets. Write the title of the book and author. Read the first chapter of the book. Mi Media Naranja Activity (doc will be linked). This is a vocabulary activity that I developed to help students think about the words, collaborate on co-constructing a definition, and matching words. 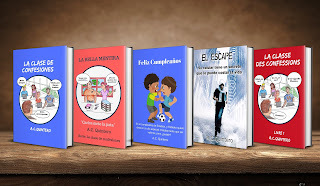 Campanada: Choose one character from your book and discuss with a partner. Conversation Circle: Questions about setting & characters (emergent personality traits). Read for 20-25 minutes and write about the point of view, narrative style, main characters (dynamic/flat), and how they propel the narrative forward. Exit slip: Describe your character, and what hurdles they have to overcome. Read & finish the packet. Respond to questions about the conclusion and what you would have done if presented with the same situation as your characters. Class lesson: How to develop a creative hook. Write hooks, share with classmates. Think about: How can I make this more engaging? Day 7: Book Report: I did not allow students to use notes. 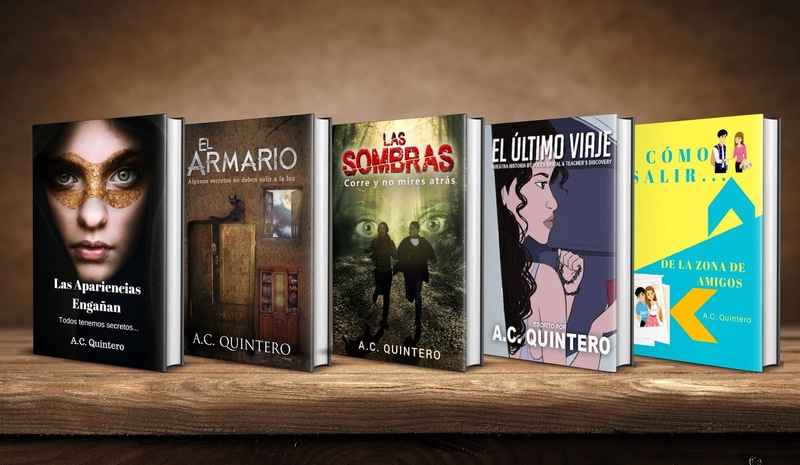 Check out the new novels for Spanish class! This is not a shinning blog post with all the bells and whistles- I have no time for that! 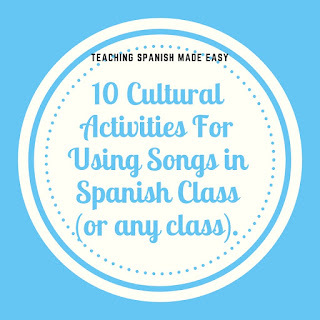 But, I would like to share some of the activities that I do in class as a way to spark ideas in teachers regarding fun and simple ways to incorporate more culture in class. So this idea was inspired by Justin at SpanishPlans. You can check out his website here. Every year, he and many other teachers around the world participate in Locura de Marzo (March Madness). During this time, they introduce songs to students, and with those songs come cultural elements, new words, etc. Well, this year, I could not fully participate, but I did take notice of the songs and format. 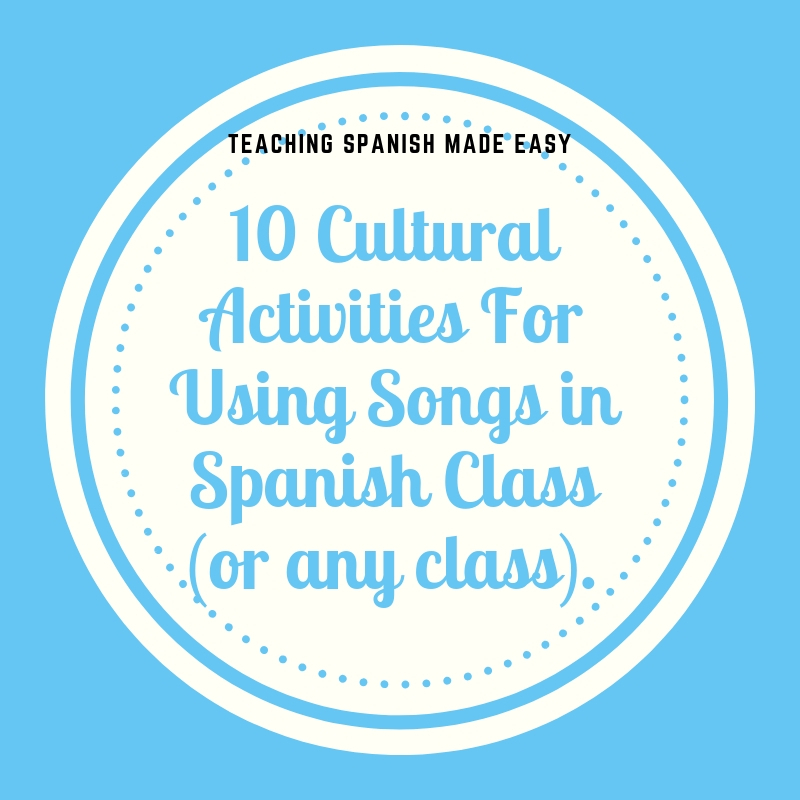 I grabbed a few songs and used them as a springboard to teach about the people, target culture, and language. Below is an example of what I did with Maluma's song: Corazón (this song was on his list last year). As a point of reference, my normal practice is to pre-teach a bit of vocabulary, give them a song sheet, and we sing and dance. However, this year, I took a slightly different approach. 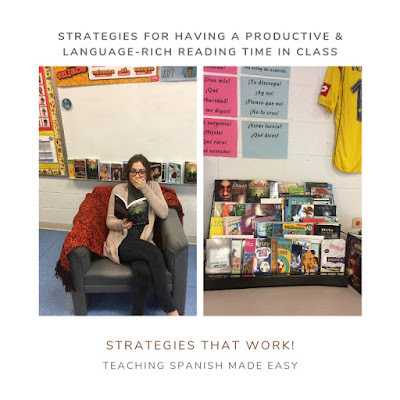 Below are 9 ways I engaged students, by incorporating a bit more culture, integrating what we're already learning (we are currently reading "El Jersey" as part of our Sports unit, so I made sure to touch on high-frequency stem-changing verbs during our lesson). Descriptions (discussing Maluma as a previewing activity). 1. The best way to start any culture activity is by doing a KWL, or a "What I Think I know." 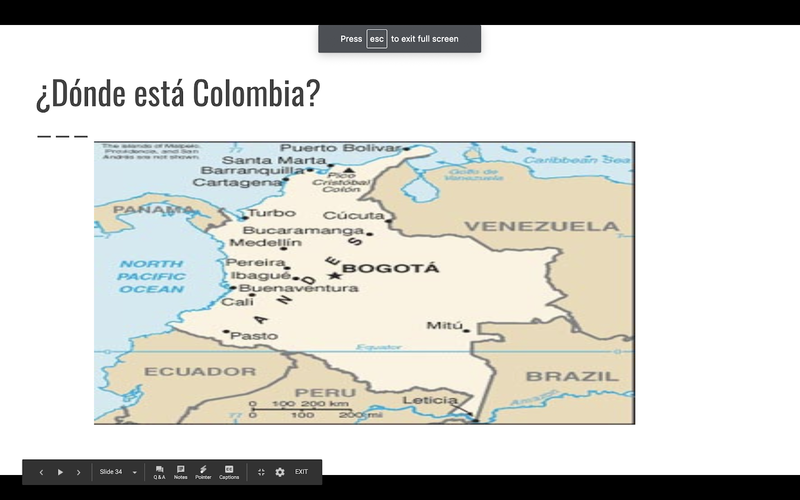 Here, I asked students to state some things they knew about Colombia. Yo sé que Colombia es un país. En Colombia las personas hablan español. 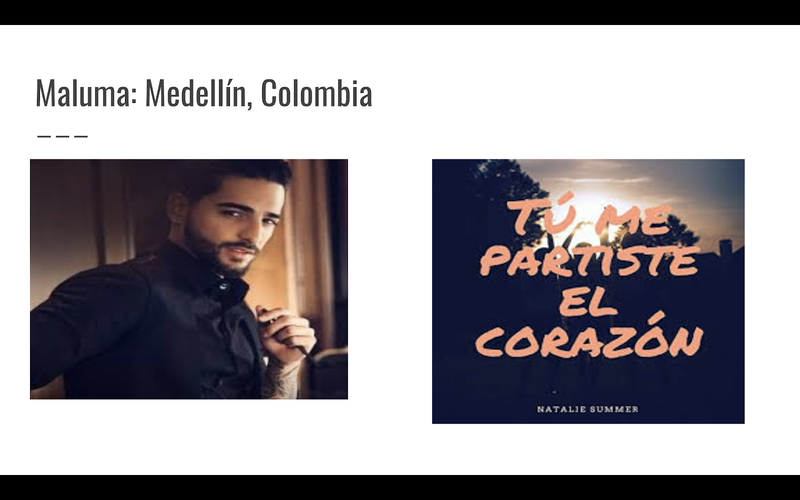 Discuss where Maluma is from (see the picture below). Here we used, "Él es de+ country". I also asked ¿Es de Ecuador? ¿Es de Perú? ¿Es de México? These questions allowed students to use double negation and practice already acquired structures. We also discussed his physical characteristics (alto, castaño, guapo, etc). For this segment, we used the prepositions "cerca" and "lejos." ¿Brasil está cerca o lejo de Colombia? ¿Cuáles son los países que están cerca de Colombia? Here, I just mentioned feminists had issues with music. 5. 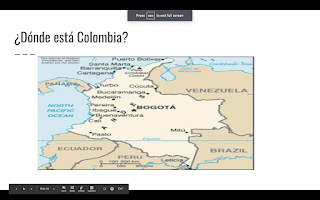 Show students a short video highlighting the geography of Colombia or the country of origin you're featuring (the video was in English). This was done to give them an appreciation of the country. Again, it was only two minutes and provided more context than what I usually provide. 6. Provide them with some vocabulary words only for the first part of the song, namely the pre-chorus (We did not sing the whole song). I gave examples of words in Spanish. This was fun! 7. Since the video features a story, I gave them the introduction of that story (below) and also the task of seeing how the story was going to end. This made them so excited and they followed the young boy on his adventures. ¿Alguna vez has tenido un corazón roto? El amor es muy difícil en la vida. A veces, queremos a las personas, pero las personas no nos quieren a nosotros. ¿Qué hacemos cuando experimentamos un amor no correspondido? En este video, ¡un chico piensa que tiene la solución! Él tiene el corazón roto . No llora . No está enojado. No grita. Él está muy tranquilo porque tiene una solución. En vez de regalarle su corazón a una chica, regala su corazón a MUCHAS CHICAS. ¿Qué va a pasar al final del video? ¿El chico va a estar feliz con muchas chicas? ¿Las chicas van a estar felices? ¡Entérate! Tú me _________________ (compartiste/partiste) el corazón (again, only the first section of the song). Check out premium resources on how to use songs in class! If you are looking for ways to integrate songs, and stories, please check out the resources of Kara Jacobs and Kristy Plácido. I used "Robarte un beso" Resource by Kristy, and it was AMAZING! She included a really great article on Vallenato, typical music from Colombia (I feel like I grew up with this music!). Check out our readers for Spanish and French Class!